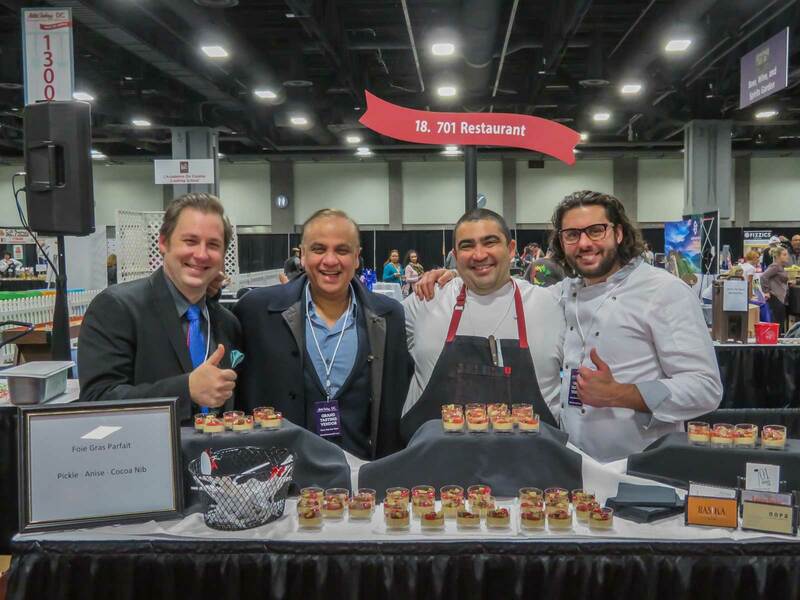 The 12th annual MetroCooking DC Show took place at the Walter E. Washington Convention Center over the weekend of December 9-10, 2017. Vendors from the Mid-Atlantic region and New York City took up most of the main floor, handing out samples of chocolates, coffees, olive oils, pastries, smoked salmon, teas, and more. Most offered their goods for sale at a discounted price. There were also vendors selling kitchen supplies, as well as a pop-up cooking school. The James Beard Foundation Cooking Stage featured live demonstrations by James Beard Award-winning chefs from throughout the United States. On Saturday, Victor Albisu, Erik Bruner-Yang, Guy Fieri, Michael Friedman, Michael Schlow, and Sherry Yard demonstrated how to cook some of their signature dishes, including pastas, purees, and that Mid-Atlantic staple: crab cakes. 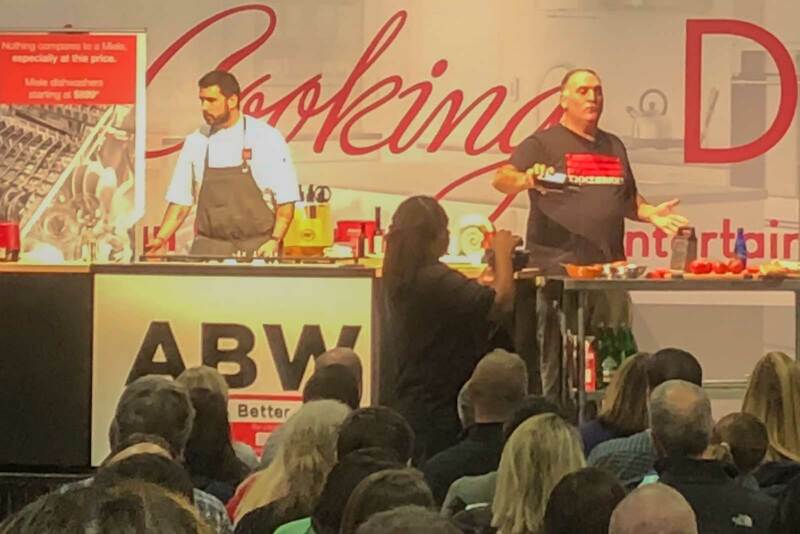 On Sunday, Jose Andres, Amy Brandwein, Gavin Kaysen, Guillermo Pernot, and Vikram Sunderam entertained the often standing-room-only audience with their takes on empanadas, fish, sliders, as well as vegetarian dishes. VIP attendees had a chance to meet Guy Fieri as well as Jose Andres. Both signed copies of their latest books: Guy Fieri Family Food and Made in Spain: Spanish Dishes for the American Kitchen. Carla Hall, Shaun O’Neale, and Vikram Sunderarm also did book signings. 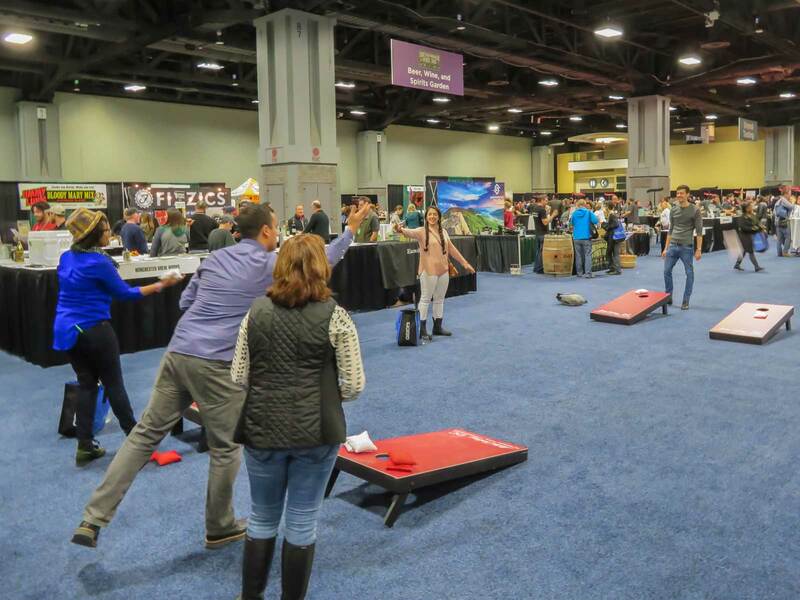 The Grand Tasting Pavilion required a separate ticket and featured a BBQ Bash on Saturday, where more than 20 of greater DC’s BBQ vendors offered samples of beef and pork with various sauces. On Sunday, 43 different restaurants from the greater DC metropolitan area offered small samples. What the BBQ Bash lacked in variety, Best Bite more than made up for. While your average carnivore would not have been disappointed on either day, Best Bite offered as much variety as the Union Market, with a heavy focus on sweets like ice cream and donuts, as well as fish. Attendees had a chance to vote for MetroCooking DC’s Best BBQ on Saturday and Best Bite on Sunday. The Beer, Wine & Spirits Garden was located next to the Grand Tasting Pavilion. 40 different breweries, distilleries, and vineyards offered samples of beer, wine, and spirits samples in the afternoon on Saturday and Sunday. This post was sponsored by MetroCooking DC. looks great, sounds like lots of fun and good opportunity to see a large variety of foods. did you get to see guy fieri? I didn’t get to meet him but watched him cook grilled cioppino with fire-roasted tomato and vegetable puree.